Have you always dreamed of being on the stage? Or do you fancy helping out behind the scenes? If so why not join Forest Musical Theatre Company? Rehearsals for our current show are underway but that doesn’t mean it’s necessarily too late to get involved, do ask! 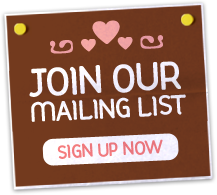 You can also join our mailing list, ‘like’ our Facebook page and follow us on Twitter – see our home page. Q: What types of membership do you offer? 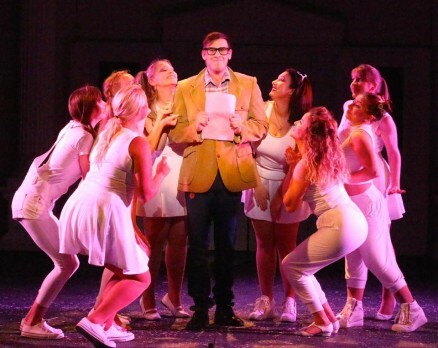 We offer Acting Membership (Acting, Singing and Dancing), Non-Acting Membership (backstage, committee, anyone who does not wish to be on stage) Honorary Membership (support without direct involvement) and Associate Membership awarded to members for notable service to the company. Q. How much does it cost to join FMTC? For Acting members the annual subscription is £60. In addition, a show fee for Adult Acting Members and Guests will be £40 per show. Ideally, it is best to set up a standing order. If you don’t know whether you will do 2 shows a year / want to maintain your membership the standing order would be £5 a month. The show fees will then be £40 per show. If you are absolutely sure that you will do two shows per year / maintain your membership you can pay £8 per month by standing order and your show fees will be £21 per show. Those in full-time education pay a subscription of £48, the show fee for those members is £20 per show. For Non-Acting members the annual subscription is £4 per month or £24 per half year or £2 per month of £12 per half year for students. For Honorary members the annual subscription is £20 including priority booking forms for every production, discounted tickets on some productions, regular receipt of the Newsletter and invitation to the AGM yearly. You can either pay monthly by standing order or half yearly via Cheque, Cash or standing order. Q. I can’t sing or dance but want to help out – what else could I do? We always need help backstage, with props, costumes, make-up, etc. 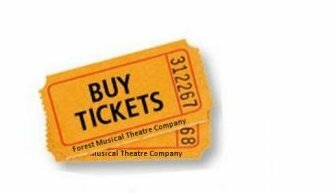 Contact jo@forestmusical.co.uk for more information. Q. How old do I have to be to become an FMTC member? Generally the minimum age for joining is 16, but if the show requires children, we audition them separately. We rehearse at various locations but predominantly St Michaels Church, Loughton, Essex. Rehearsals are normally on Tuesday and Wednesdays from 8.pm to 10.pm, but at the run-up to the show, we also rehearse on Sundays, usually between 2.pm and 6.pm but times and rehearsal venues may vary. Contact our new members’ secretary Sally Curran at sally@forestmusical.co.uk and we will organise for an audition to take place on a rehearsal night. Q. What do I have to do at the new member’s audition? Audition requirements are to prepare a song (a pianist is available if sheet music is used, or you can bring a backing tape or CD); you will be asked to read a piece of dialogue (this is given to you at the audition, and you are not required to learn it by heart); and you will be expected to perform a short, simple routine alongside the choreographer.